PBOC fixed the yuan dramatically stronger against the dollar overnight, sending offshore yuan surging to its strongest against the dollar in six months. 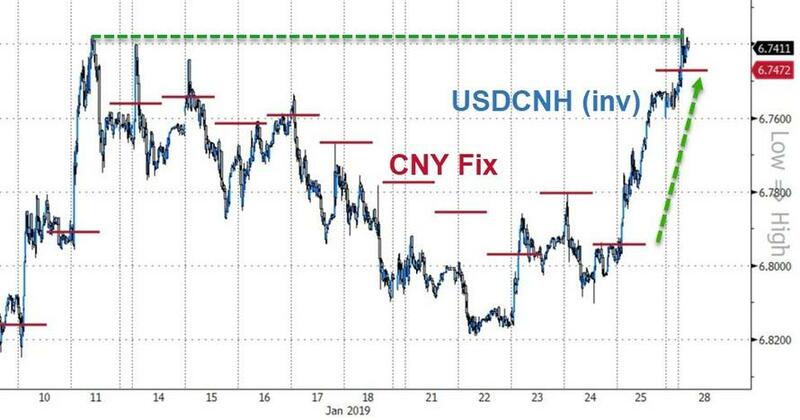 Notably, the yuan is strengthening considerably more against the dollar than it is against the broad basket of trade partner currencies...Shanghai Accord 2.0? Perhaps the PBOC's aggressive action was prompted to manage the Yuan peg against gold back into balance?